Watch an exclusive video tour of the first phase of Philadelphia's Rail Park with correspondent Steve Lubetkin. 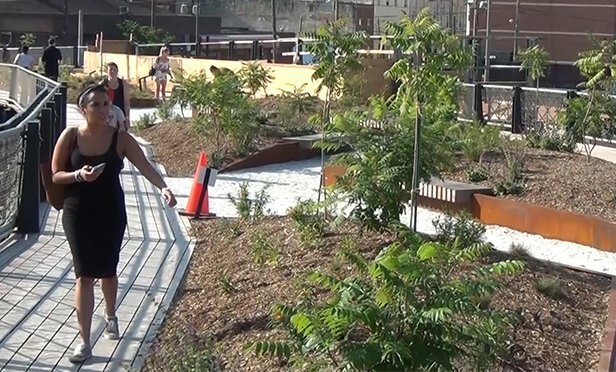 PHILADELPHIA, PA—Following in the footsteps of New York City’s famed High Line park, Philadelphia has opened Phase One of the Philly Rail Park. The current phase of the project occupies part of “The Viaduct,” an elevated section of unused rail line extending from 1300 Noble Street, east of North Broad Street, and arcing south toward Callowhill Street onto the elevated Viaduct.